Maybe not, as one mom learned. 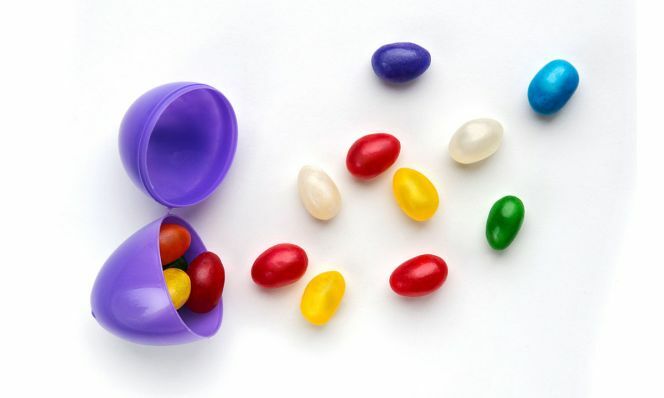 My ex-husband and I have been hiding jelly beans for the kids on Easter morning since they were old enough to eat them. It was something he used to do with his family growing up and he loved finding them and sharing the traditions with his own family. Of course, our kids were always over the moon about it as well. Every Easter morning, they&apos;d rush down the stairs to fill their bags with sugary beans as soon as possible. As they got older and discovered the Easter Bunny, Santa, and the Tooth Fairy weren&apos;t real, we still kept up with the jelly-bean hiding for a few years, and I began to think it was silly and they didn’t need certain traditions in their lives anymore. So, last year I made the mistake of not hiding the jelly beans without saying a word about it to them. At ages 15, 13, and 12, I didn&apos;t think my kids would mind and figured they&apos;d want to sleep in and crawl out of bed to check their phones and laze around instead. They all woke up early, rubbed the sleep out of their eyes, and tried not to show their disappointment that there were no colorful gems hiding in the vase, on top of the microwave, and windowsills. I felt horrible. I went out the next day and got all the clearance jelly beans and hid twice as many as I usually did so they could grab them, put them in their bags, and relive a bit of their childhood. I didn&apos;t do this because they are spoiled, entitled kids who complained because they didn&apos;t get to have their way with candy. In fact, they didn&apos;t complain about it at all. I think they were too sad to wake up on Easter and not do the things they’d been doing their whole lives, which was confusing to them since they felt like it was a juvenile tradition that they should have outgrown by now. I did it because it was a small thing that I have always loved doing for them, whether they believe in fake animal creatures breaking into their home and hiding candy as they slept, or not. 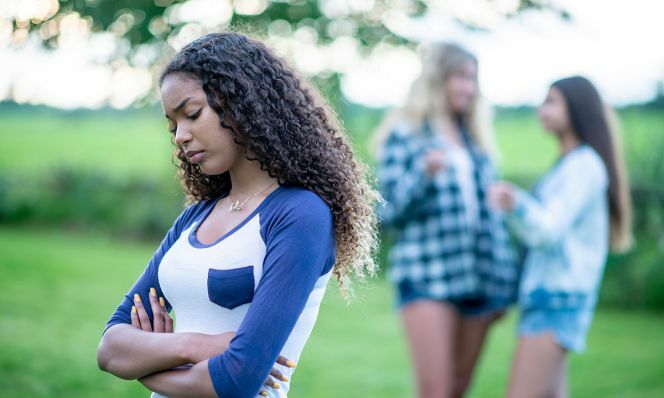 It took us back to their younger years when I knew I had more time with them, they were still so innocent, and they didn&apos;t have to deal with any of the pressure or stresses that teens have to deal with. It also opened the conversation about how we&apos;d stopped leaving cookies and milk for Santa, and how I never asked them if they wanted to go out for a Shamrock Shake at McDonald&apos;s around St. Patrick’s Day any longer. All of which we’ve started back up again because really, are you ever too old to have a mint shake or leave cookies for Santa? As moms, we may feel like our kids outgrow certain traditions and we are, in a sense, off the hook. After all, there are so many other things to worry about at this phase in their life and it can feel like one more “task” we need to complete. But it was a mistake for me to let go of these traditions too fast, and I&apos;ve brought them all back and have a new appreciation for them. I know all too soon they won’t be here on Easter morning or Christmas Eve night. I say carry on with the traditions. It gives your kids a sense of comfort, normalcy, innocence, and nostalgia. And let&apos;s face it, there is no better time than for them to experience those feeling and emotions with you during this tumultuous time in their lives. If anything, it’s a nice break from social media, worrying about getting into college, and who is wearing what to the dance. And if they are absolutely sure they don’t need to write Santa a letter or go on a haunted hayride, do it one more year anyway, just for good measure. Once these family-bonding traditions go away, especially if they aren&apos;t replaced by new traditions which is also a great option if everyone can agree on something, it feels like a loss for everyone—whether they feel like they should be too old to miss them or not.